Scratch and dent repair is one of the most common requests of CSN’s Collision repair Centres. It’s easy to understand why. Scratches, dents and scrapes decrease the value of your vehicle, they reduce its curb appeal and they’re very hard to ignore. Often do-it-yourself repairs can be expensive and messy and wind up looking very unprofessional. 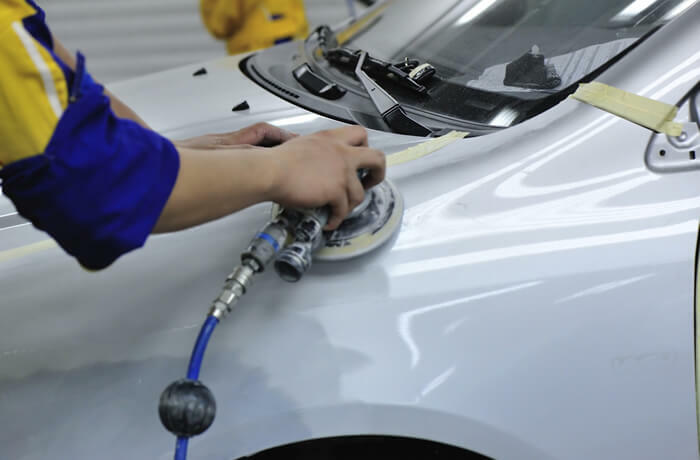 Trust our fully trained and licensed auto body repair specialists, auto body painters and repair estimate specialists to get the job done right. Our collision repair shops are located across the country and offer free estimates to get your car back looking like new. We will also describe what repair techniques would work best on your vehicle and inform you of the entire repair process. No scratch, dent or scrape repair is too big or too small. Stop by one of our many locations for your free scratch and dent repair estimate. In some cases, dents may be able to be repaired using Paintless Dent Repair, which does not require paint refinishing. ← Paintless Dent Repair – Receive a free quote!